If you have Medicare, or are about to get Medicare, then you’re probably getting a barrage of phone calls and mail from insurance companies advising you to buy additional coverage. Insurance agents will sell additional health insurance to Medicare recipients by warning them about “crushing” medical expenses they’ll incur if they get sick and only have Medicare coverage. Are these insurance agents telling the truth? How financially vulnerable are seniors who only have Medicare coverage and, how much “extra” coverage do they really need? About three years ago, I wrote this blog for Huffington post arguing that most seniors with Medicare don’t need a Supplemental policy. Since I wrote that blog I’ve received a number of questions from seniors asking for more details about Medicare coverage and what they should expect to pay for various medical treatments. In this section, I will expand on the information presented in my blog. I will show here in greater detail exactly what Medicare covers, the out-of-pocket health expenses a senior with only Medicare will likely face and what, if any, benefit these additional policies provide. All of the information I provide will be accompanied by multiple links to either the source of the information or concrete examples to back up what I’m saying (including billing statements). I encourage everyone to use the links I provide (highlighted in blue) in order to educate themselves as much as possible on this very important topic. Medicare Part A: How Much Will a Hospitalization Cost You? Let’s say you’re hospitalized and all you have is Medicare Part A. How much do you owe the hospital? If the hospitalization lasts 60 days or less, the answer is $1,364; nothing more. This is an important point: For any hospitalization lasting 60 days or less, you will only owe the hospital $1,364 even if your hospital bill exceeds one million dollars! The doctor (or doctors) who see you in the hospital will bill you separately, but those bills are covered by your Part B benefits (discussed later). As an example, below you can see a copy of a bill that a patient of mine recently gave me. This bill is for someone who was hospitalized for about four weeks. 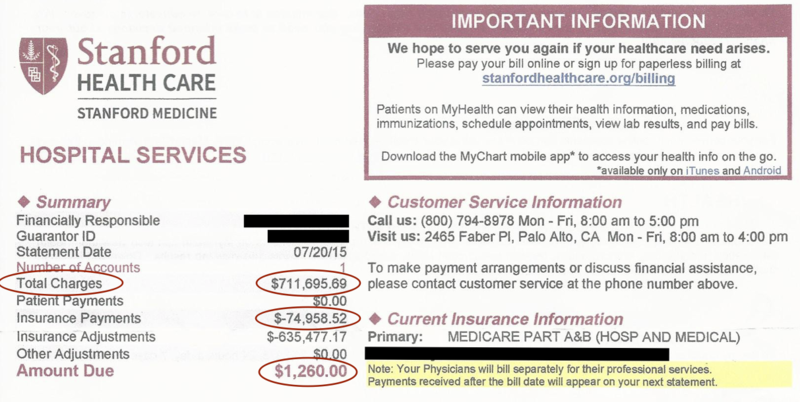 As you can see, the total amount billed was over $700 thousand ($711,695.69) and, yet, the patient still only has to pay $1,260 which was the Medicare Part A deductible in 2015. Should you expect to ever be hospitalized for more than 60 days? No! The average hospital stay in the US is 5-6 days and that number has been going down each year for more than a decade. Even people who need major surgery like a liver transplant or open heart surgery are usually home in about 7 days. I can’t say that 60-day hospitalizations never occur in the US, but they’re about as rare as jackpot lottery winners. Also, if you have Medicare Part A, there’s no limit to the number of times you can be hospitalized for up to 60 days as long as you go home for two months after each hospitalization. Now, the average senior can expect to be hospitalized about 4 times while on Medicare, and that’s over a 20-30 year period of time. Do the math. How much will that really cost you when compared to the cost of your Medicare supplemental premiums? How Much will Nursing Home Care Cost You? If you’re ready to leave the hospital, but not yet well enough to go home, Medicare will allow you to spend some time recovering in a nursing home, often at no extra charge. If your hospitalization lasts at least three days then Medicare will cover up to 20 days in a skilled nursing facility without charging you a penny more than what you already pay for your hospitalization. That means that your $1,364 Part A deductible will cover up to 60 days in the hospital and up to 20 days in a nursing home if you need it. If you need more time to recover in a Nursing home, it will cost you $170.50 per day for the next 80 days (days 21-100). After that, Medicare won’t cover you. Now here is a very important point that every senior needs to understand: If Medicare doesn’t cover a service, in most cases, a supplemental policy won’t cover that service either. Let me make that even more clear: Unless your supplemental policy specifically states otherwise, it won’t cover nursing home care beyond 100 days or any nursing home care not covered by Medicare. Most supplemental policies only cover the $170.50 daily charge for a Medicare approved nursing home stay lasting more than 20 days but not more than 100 days; Nothing more! Most supplemental policies also don’t cover hospital days that go beyond Medicare’s lifetime benefit limit either (which is exceedingly rare anyway). Don’t let an insurance agent lie to you about that either. If your policy doesn’t specifically say a service is covered, it’s not covered. Medicare Part B: What Does it Cover and How Much will You Really Owe? 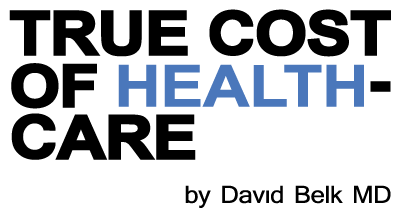 Medicare Part B covers outpatient medical costs. This includes doctor’s office visits, blood and urine tests, x-rays, CT scans, MRI’s, ER visits and any doctor who sees you in the hospital. It also covers observation stays in the hospital that aren’t regular admissions and IV medications that are given at a nursing home or an infusion center (including cancer chemotherapy). Most blood and urine tests are free. If your doctor orders a blood test to check your cholesterol, thyroid, blood count, etc… every few months to check how your medications are working, those tests will cost you nothing! Preventive screening tests like routine mammograms and colonoscopies are also free now with Medicare. For other medical services, you’re only responsible for 20% of Medicare’s approved cost for any medical service after you pay a $185 annual deductible. Below is a statement from Medicare showing a patient’s benefits from a doctor’s office visit dated September 6, 2011 (date at top right corner). 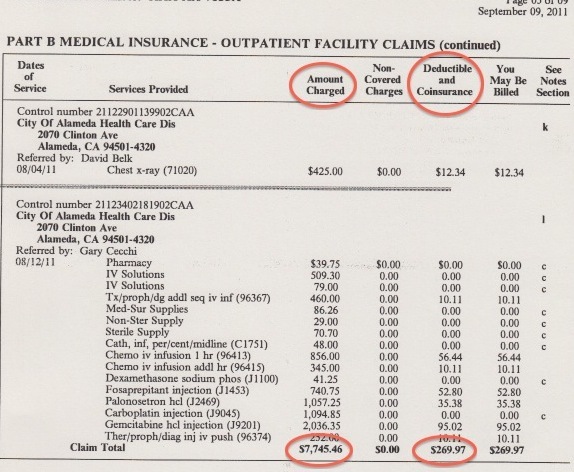 As you can see, the doctor billed Medicare $279 for an office visit. Medicare approved only $82.89 for that visit (about 30% of what was billed) so the patient was responsible for only $16.58 (her 20% of that approved payment). Medicare has a set approved rate of payment for all medical services that’s the same (for any given region) regardless of how much is billed for the service. This section gives an overview of the amount Medicare approves for a number of common medical tests and this section explains Medicare Part B’s entire fee schedule. In other words, Medicare protects all Medicare recipients from over-billing by hospitals, doctors or any other health care providers. The doctor can bill Medicare $300 for an office visit, the hospital can bill $4,000 for a CT scan but, if Medicare says that office visit is worth only $80 or the CT scan $300, that’s all they get. If you have Medicare, federal law prevents any health care provider who accepts Medicare from going after you for a penny more than the amount Medicare approves for a service. When a doctor sees you in the hospital, Medicare’s approved rate is similar to that of an office visit. Below is another statement showing the approved Medicare benefits for a patient I saw in the hospital for seven days in January of 2011. Medicare’s approved fee for the first day I saw her was $143. For each additional day I saw her Medicare approved $76. That means that, once her deductible was paid (January 5 & 6 billing dates) her portion of my fee was $15.20 per day. Medicare’s approved rates for imaging studies are about $30-$60 for plain film x-rays, $250-$500 for CT scans and $400-$900 for MRIs. Your 20% would be as little as $6 for the cheapest x-ray but $180 for the most expensive MRI. What about surgery? How much would a major surgery cost someone who only has Medicare Parts A & B? A surgeon usually gets a single “package” fee for a surgical procedure that covers the surgery and all follow up fees. The amount Medicare approves for a surgery can range anywhere from $300 for a simple procedure to about $3,000 for, say, open heart surgery. That didn’t include her Part A deductible, of course, but you can see that even a major surgery isn’t hugely expensive. In fact, the cost of Medicare supplemental premiums for one year are often about the same price the surgery would cost you without the supplemental policy. So, even if you have major surgery every single year, you’re not saving very much money by having a supplemental policy. What about cancer chemotherapy? How much will that cost you? The cost of cancer chemotherapy is probably one of the most expensive treatments a Medicare recipient could face. This is, in part, because medical oncologists are paid more if they give more expensive chemotherapy agents. Oncologists in the US get an average 6% commission on the price of any medications they administer in their office. This commission creates a major conflict of interest for these doctors that has dramatically increased cancer chemotherapy costs in recent years. Still, Medicare Part B covers IV therapy, including cancer chemotherapy, when administered either in a nursing home or an infusion center. If you receive chemotherapy during a hospitalization, then the cost of your chemotherapy is covered by your Part A deductible. This patient received IV carboplatin and gemcitabine (two anticancer drugs) and fosaprepitant for nausea. 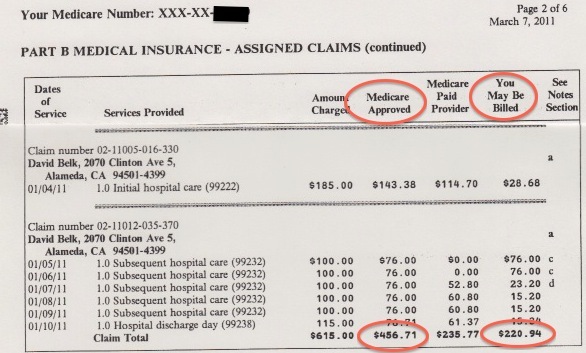 For this, medicare was billed over $7,700. It doesn’t show how much Medicare approved for this treatment but, her 20% portion of the approved fee was $269.97. That means that Medicare approved a total of $1350 for this treatment or about 17% of what was billed. Now chemotherapy can be more expensive if the medications given are newer. As examples, here is the statement for someone who was treated with docetaxil (which costs over $1,000 per treatment for just that medication) so her portion was over $400 per treatment. Here is another statement for someone who received bevacizumab (Avastin) which is a biologic agent and one of the most expensive medications you can get. That treatment cost her nearly $1,200. As you can see, in the most extreme cases cancer treatment might cost you as much as the price of a used car if you include the cost of surgery, radiation treatment and several courses of chemotherapy with a biologic agent. However, when I say “used car” I mean the price of a used Ford Taurus or a Honda Civic, not a luxury vehicle. That’s the most extreme expense you might possibly be hit with if you have only Medicare Parts A & B. As you can see, roughly eight out of ten Medicare recipients wouldn’t spend the cost of the their Supplemental premiums in a year and only about one in fifty would spend more than $10,000. That means that an average Medicare recipient can expect to go about 50 years before being hit with medical bills that exceed $10,000. Should you get a supplemental policy to cover these potential costs? That’s your call obviously but, now that you know your potential risk, let’s talk about these policies. First, here is a link to a page posted by Consumer Affairs listing more than 100 reviews of AARP supplemental policies. Almost every review gave these policies only one star (the worst rating). That should give you some idea of how good these policies really are. Now, how much do they cost and what do they really cover? 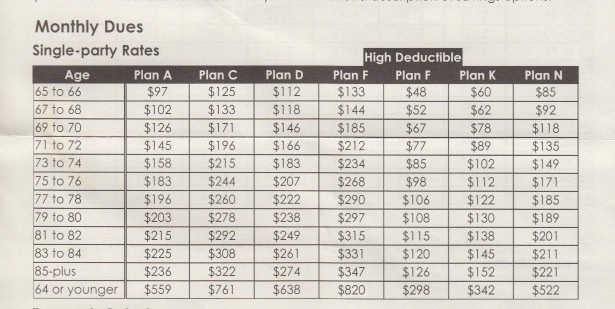 Figure 6: 2012 premiums for Medicare Supplemental coverage. 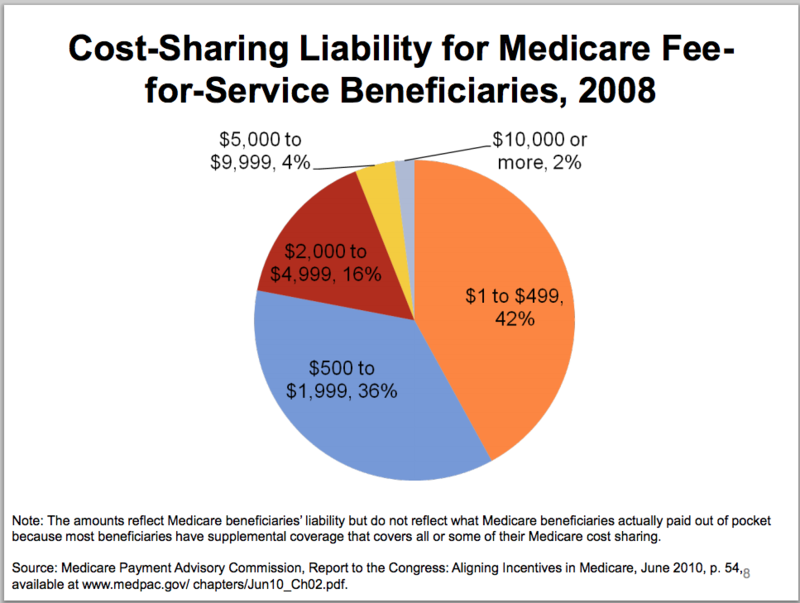 For Plan F full coverage, Medicare recipients paid $133 a month if they were 65. But you’ll notice that 71 year olds were paying $212 a month. That’s about a 60% increase in premium cost in just six years. 85 year old recipients were paying $347 a month. Now rates for all age groups have gone up since 2012. As you can see, they rope Medicare recipients in with rather low initial rates that go up rapidly each year people hold on to these policies. Here’s a link to the benefits each type of supplemental insurance provides. As you can see, most of them only cover Medicare deductibles and co-insurance; nothing more. Unless otherwise stated in the policy, it will not cover any service not approved by Medicare. These policies also will not pay any healthcare provider a penny more than the amount Medicare approves for a service. That means that a health care provider who sees a patient who has a supplemental plan gets paid the exact same amount as he would from a patient who only has Medicare. When you buy insurance, any insurance, its purpose is to cover you for unexpected costs you could never cover yourself. You buy homeowners insurance to cover damage done by a fire or a storm or water damage done by a broken pipe. No one buys a homeowner’s policy that covers utilities or routine maintenance. Most people who own a house are used to paying for the cost of painting it. Homeowners expect to pay for the cost of replacing their roof every 20 years as well, even though the cost of a new roof on most houses would actually exceed the cost a Medicare patient would pay for the treatment for most cancers. We also don’t use our car insurance to fill our gas tank, change the oil or pay for a transmission overhaul. Again, the cost of overhauling your car’s transmission is probably more than what you would pay for a major surgery if you have Medicare. Medicare supplemental policies really aren’t like any other insurance policy you might buy. When you have Medicare, you already have health insurance. The supplemental plans are really just insurance to cover the insurance you already have. How does that make any sense at all? Only in health care do we consider it appropriate to use insurance to cover every possible expense no matter how mundane. I think it’s time we all took a step back to look at how much it’s costing us to rely so heavily on our health insurance for everything. Now that you see how much these policies cost and how little you’re likely to get from them, ask yourself: Are they really worth the price?